Located in the heart of St James's, The Stafford London, by Kempinski has an air of timelessness, where elegance and tradition create a haven of calm away from London's busy streets. Whatever you need, whenever you need it, our team are there to ensure you get the most from your visit to London. 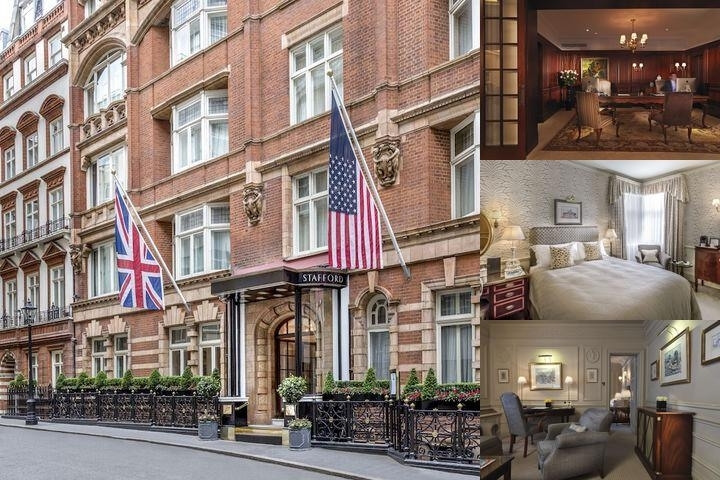 Located in the heart of St James's, The Stafford Hotel by Kempinski defines all that is quintessentially English within its 105 individually decorated rooms and suites. The Stafford is not only steeped in history, but its wide range of rooms and suites reflect also various aspects of Britain. The traditional rooms in the hotel's Main House, former home of Lord and Lady Lyttelton, are still oozing the elegance of Victorian London. The cosy rooms in the Carriage House, a former stable housing the thoroughbreds of the nobility, have a charming and indulging countryside flair. And finally, The Stafford Mews, opened in 2007 in a contemporary, yet quintessentially British style. 24 hrs for individuals. Group terms are contracted.